Back From The Brink: "Wolf Nation"
Brenda Peterson likes the wolf comeback. Wolves came a long way in a human lifetime. 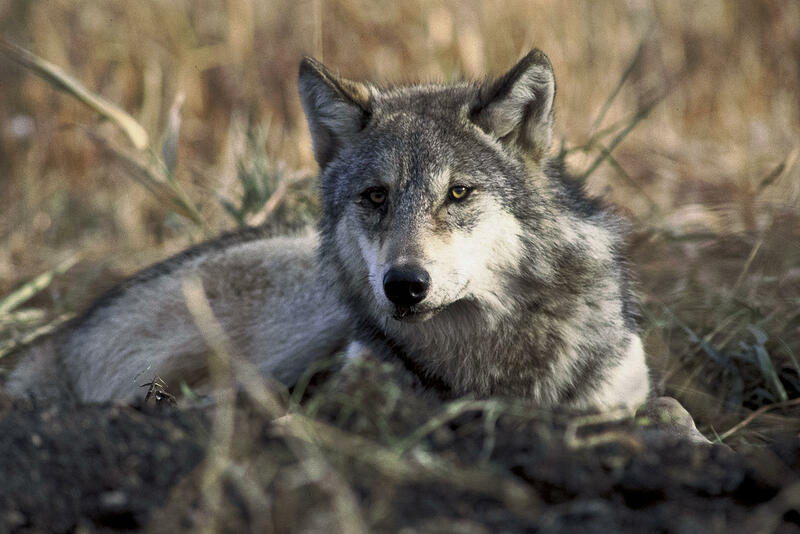 In Oregon, the last bounty for killing a wild wolf was paid out in 1947. 60+ years later, OR-7 captured the attention of the state and nation, as the first wolf known to be living free west of the Cascades since the time of extermination. OR-7 is one of the key characters in Brenda Peterson's book Wolf Nation: The Life, Death, and Return of Wild American Wolves. Peterson weaves ecology and ancient lore together in her work; she visits with highlights. Karen Kovacs lays out the wolf planning process. The state of California started making plans for managing wolf populations before wolves even showed up. Then OR-7 wandered through a few years ago, making it clear that wolves would arrive sooner, rather than later. Evidence shows that there are resident wolves in California as of a year ago. And the Wolf Plan is finished. Richard Thiel and Beckie Elgin discuss wolf recovery. Gray wolves can't seem to stay out of the news in Oregon, and with good reason: they are growing in number. The effects are not always welcome: the Rogue Pack, OR-7's pack, gets the blame for recent livestock attacks in the region. Wolf biologist Richard Thiel has studied wolf recovery in other parts of the country; Beckie Elgin advocates for wolf recovery closer to home.